Rathgeber's cycle of hymns in Opus XI aims to counteract the use of symphonies instead of hymns during the vespers service. The text basis is taken mainly from the breviary although Rathgeber omits single strophes. He even suggests to leave out the middle strophe of his composition written in A-B-A-form if further omissions are desired or demanded. 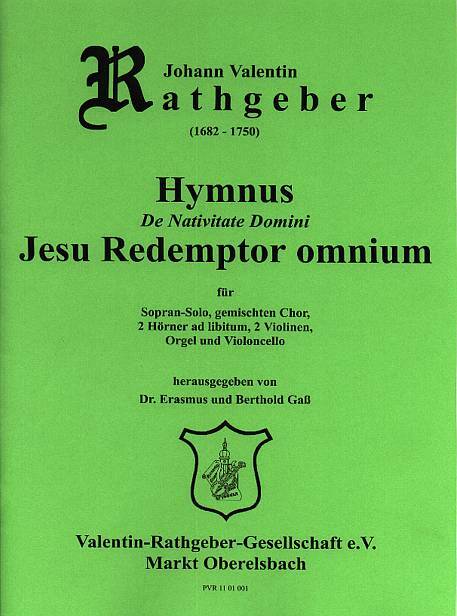 The first hymn "Jesu Redemptor omnium" is recommended for Christmas by Rathgeber. The second hymn "Jesu Redemptor omnium" is recommended for the feast Circumcision of Christ by Rathgeber. The hymn "Crudelis Herodes" is recommended for the feast Epiphany of Christ by Rathgeber. The hymn "Jesu dulcis memoria" is recommended for the feast Name of Christ by Rathgeber. The hymn "Haec Dies" is recommended for the feast of Easter by Rathgeber. 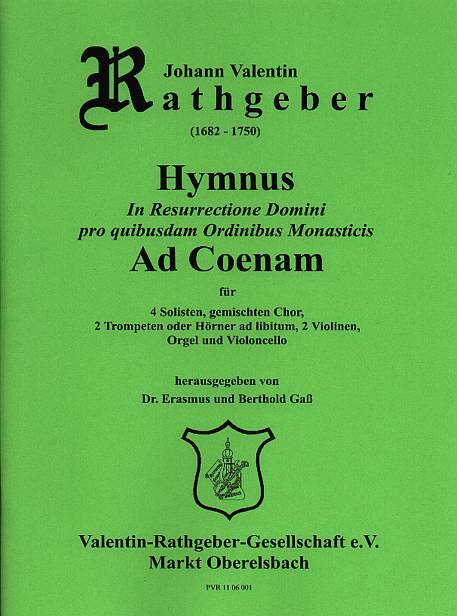 The hymn "Ad coenam" is recommended as well for the feast of Easter by Rathgeber. The hymn "Vexilla regis" is recommended for the Feast of the Cross by Rathgeber. The hymn "Salutis humanae" is recommended for the Feast of the Ascension of Christ by Rathgeber. The hymn "Veni Creator Spiritus" is recommended for Pentecost by Rathgeber. The hymn "O Lux beata Trinitas" is recommended for the feast of the Holy Trinity by Rathgeber. The hymn "Pange Lingua" is recommended for the feast of Corpus Christi by Rathgeber. The hymn "Lucis Creator" is recommended for sundays of Ordinary Time by Rathgeber. The first hymn "Ave Maris Stella" is recommended for Candlemass (February 2nd) by Rathgeber. The hymn "Laudibus Cives" is recommended for the feast of Saint Benedict (July 11th) by Rathgeber. The hymn "Ut queant laxis" is recommended for the feast of Saint John the Baptist (June 24th) by Rathgeber. The hymn "Decora lux" is recommended for the feast of the Holy Apostles Peter and Paul (June 29th) by Rathgeber. The hymn "Gaude mater" is recommended for the feast of Saint Dominic (August 8th) by Rathgeber. The hymn "Bernardus" is recommended for the feast of Saint Bernard (August 20th) by Rathgeber. The hymn "Magne Pater" is recommended for the feast of Saint Augustine (August 28th) by Rathgeber. The hymn "Custodes hominum" is recommended for the feast of the Guardian Angels (October 2nd) by Rathgeber. The hymn "Te Splendor" is recommended for the feast of Saint Archangel Michael (September 29th) by Rathgeber. The hymn "Decus morum" is recommended for the feast of Saint Francis (October 4th) by Rathgeber. The hymn "Placare" is recommended for the feast of All Saints (November 1st) by Rathgeber. 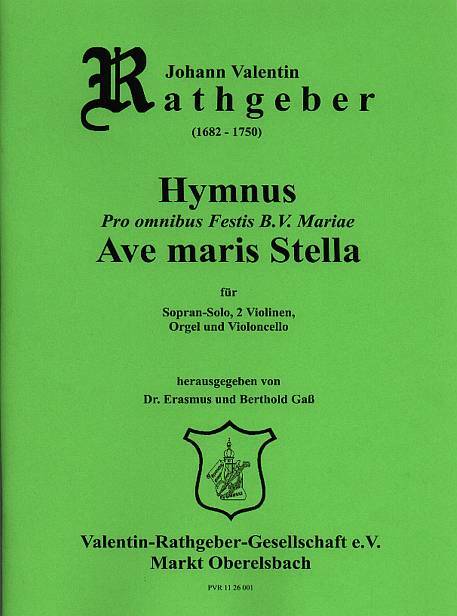 The second hymn "Ave Maris Stella" is recommended for all feasts of Mary by Rathgeber. The third hymn "Ave Maris Stella" is also recommended for all feasts of Mary by Rathgeber. The first hymn "Exultet orbis" is recommended for all feasts for Apostles by Rathgeber. The second hymn "Exultet orbis" is also recommended for all feasts for Apostles by Rathgeber. The hymn "Tristes erant" is recommended for feasts for Apostles in Eastertime by Rathgeber. The hymn "Deus tuorum militum" is recommended for feasts for Martyrs by Rathgeber. The hymn "Rex gloriose Martyrum" is recommended for feasts for Martyrs in Eastertime by Rathgeber. The hymn "Sanctorum meritis" is recommended for feasts for Martyrs beyond Eastertime by Rathgeber. The hymn "Iste Confessor" is recommended for feasts for Confessors by Rathgeber. The hymn "Jesu Corona Virginum" is recommended for feasts for Virgins by Rathgeber. The hymn "Fortem virili pectore" is recommended for feasts for Widows by Rathgeber. The hymn "Coelestis urbs" is recommended for Church Anniversary by Rathgeber.